There are many crafters that have turned their hobbies into lucrative homebased businesses. Sewing fabric handbags is one example of a craft business that can lead to a profitable work at home income. With the right marketing skills and business know-how, this income-generating hobby even has the potential to grow beyond your typical homebased business. Take the Vera Bradley company, for example. Started by two friends, their line of quilted bags and purses grew in popularity, and now Vera Bradley is a well-known multi-million dollar company. If you are interested in sewing fabric handbags for income, there are a few things you must consider. 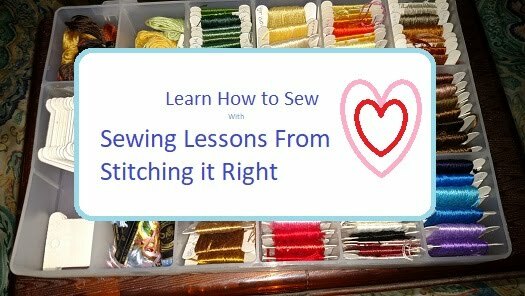 First and foremost, how are your sewing skills? Initially, it's unlikely that you will be outsourcing the work, so you need to make sure you can sew. 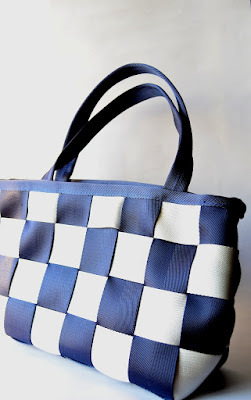 For the most part, fabric handbags are not that difficult to make. You can start with simple totes, and then as your skills improve, you can diversify by sewing more complicated designs. 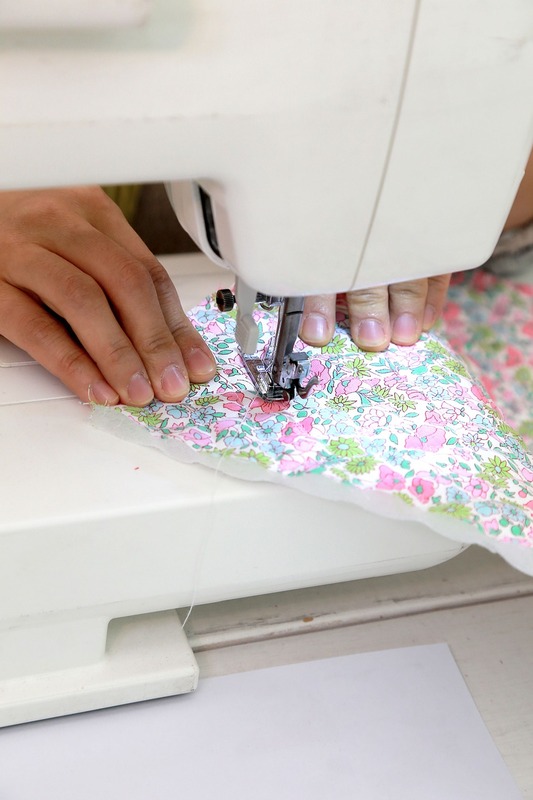 If your experience is limited, or if you can't remember the last time you actually used your sewing machine, it may be a good idea to take a class. Many fabric stores offer classes, or if not, should be able to point you in the right direction. To maximize your income potential, and to minimize future problems with tax liabilities, it is a good idea to talk to an accountant. An accountant will be able to help you with all business aspects of your startup, from how to track and report your income and expenses, to filing the required forms so that you will be able to purchase fabrics and other supplies at wholesale cost. Many crafting businesses operate as sole proprietorships. However, if you are interested in setting up an LLC or corporation for your business, an accountant or attorney will also be able to provide advice and suggestions regarding this. Another important aspect of starting this type of crafting business is determining how you will market your handmade handbags. If you are interested in attaining local customers only, selling through consignment boutiques and setting up booths at craft fairs, flea markets, and farmers' markets are good ways to market your bags locally. However, if you want to expand your customer base, the internet offers a multitude of opportunities to market your handbags. Although setting up your own website may come to mind first, and this option is certainly viable, there is a significant learning curve involved. You will need to familiarize yourself with website design, search engine optimization, and other ways to drive traffic to your website and convert visitors to buyers. These can be outsourced if your budget allows. If starting your own website seems overwhelming, you can still tap into the online global marketplace by selling your fabric handbags through sites such as Etsy and eBay. These sites, as well as similar ones, simplify the process of selling online. Also, because of the high number of visitors they receive, there is a good chance you will receive a fair amount of buying customers to your listings. There is a strong demand in the marketplace for handmade fabric handbags. Although there is much involved with starting a homebased business, the rewards are worth it. Hand embroidery is an old craft that has been practiced since the ages of your grandma and her mother. This involves motifs and needle works. You can learn this craft easily but it takes a lot of practice and patience to master the art of hand embroidery. One who is confident about her creativity and artistic sense then she should try out hand embroidery as a hobby or profession. In fact the hand-embroidered stuffs are so popular among the users that they are sold at a high price. This shows that hand embroidery is a pretty good choice to earn the living. There are quite a number of simple and complicated stitches, which are used to make different stuffs with hand embroidery. The simple ones are satin stitch, chain stitch and back stitch. The chain stitch can be used to make the flowers and other figures as it gives a round shaped knot-like look to the stitched area. Satin stitch gives a comparatively fuller look and even look and this is the reason they are used to fill up the figures of the design. Then there are other stitches like Outline or Stem Stitch, Whipped Running Stitch, Crossed Backstitch etc. The stitches that are used for outlining are quite simple and often give a look like a continuous line. Some of the most popular types of hand embroideries are Cross-stitch, Canvas work, ribbon embroidery, Black work embroidery and Bargello embroidery. In Cross-stitch an x-like design is made with the help of the threads and needles and various interesting floral and other patterns can be made with this particular type of embroidery. Canvas work can be used with yarns and this can be done on various textures like synthetic material or silk. Ribbon embroidery is all about making the patterns with ribbons, which is probably the most romantic form of hand embroidery. The Black work embroidery is the type where the work is done using the black threads. Bargello is done on the woolen canvas and it involves stitches, which can be horizontal or vertical. Hand embroidery is used to prepare various utility items as well as artworks. Generally the hand embroidery is used in the women's garments and they are priced quite high because of their aesthetic appeal to the users. This technique is used to make covers of upholstery, cushions, pillow covers etc. April Kerr owns website Start Embroidery which has details of where to buy discount embroidery supplies including the cheapest silk embroidery threads and cheap embroidery machines . What do you usually do with your old-fashioned or outgrown pair of denim jeans? Are you the type of person who immediately throws old clothing in the bin? 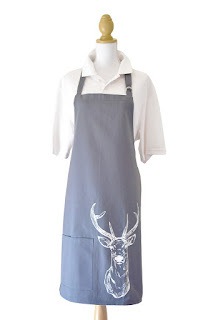 If yes, then this article is meant for you as it provides you ways o how you can make them into aprons. If you know how to operate the sewing machine, you can always come up with cheap aprons or denim tools aprons that are guaranteed to withstand for prolong use. Using your old denim pants in making cheap aprons is a good idea because the fabrics are twill weave. In a twill weave, the fabrics are constructed by interlacing wrap and filling yarns in progressive alternation, which then makes the materials strong and durable. Since aprons are highly exposed to damages, it is just right to use highly durable materials like denim fabrics for their construction. Through this, you can ensure that the said utilitarian outer garment is able to serve its purpose well. To successfully make an apron out of your old pair of denim jeans, there are a number of essential things needed. Aside from your old pants, you will also use a yardstick for measuring purposes, pencil, scissors, dressmaker pins, dressmaker shears, fabric-marking pens, flat iron, thread, and of course a sewing machine. You already completed the items needed in making denim tools aprons? Here's an easy to follow procedure on how to construct cheap aprons for your tools. First, cut the back side from of your outdated pair of denim pants. The pockets at the back of your pants will provide a storage space for the tools you need in your work. You can also widen the width of the apron by sewing another fabric on each side. From the remaining fabric of your old pants, make 2 drawstrings long-enough to tie around the wearer's waist. Sew the strings on each side of the aprons or thread the tie to the belt loops. After forming your denim cheap aprons, show your creativity by designing the said functional outer clothing. You may incorporate the pockets with embroidered patches or other accessories so as to make the garment attractive and distinctive. And don't forget to iron your newly created denim aprons for a perfect finish. Penelope Rock is a product consultant for aprons like cheap aprons and tools aprons. Everyone has them, cluttering up closest, gathering dust under beds or hidden away in a storage space. I'm talking about the dreaded WIP, work-in-progress. The quilt top you started but never quite got around to finishing, the knit sweater that's still missing one sleeve, or the skirt for your daughter that needs a couple of buttons and a hem to be complete. There are lots of reasons why people start projects but don't finish them. The first moments of creation are exciting and fun but then life forces your attention in other direction like running your kids to a sports practice or dealing with some work related crisis, and that single-minded focus is broken. Other times your enthusiasm may wane and frustrations creep in when your project doesn't turn out as well as you think it should. It's always hard to come back to a craft that has lost its appeal. Even when they're hidden out of sight, WIP projects are rarely forgotten. Instead they linger in the back of our minds like a guilty secret we don't want to deal with. But it doesn't have to be that way. There are several things you can do to get control of your work-in-progress and free up both your creative juices and your living space. That darling baby-boy quilt top was a great thought twenty years ago, but now that the kid is in college it's clearly no longer suitable. Don't be afraid to get rid of half finished projects that are out of date or more difficult to complete than you anticipated. Your time is too precious to waste on finishing something that you don't like or won't be able to use. Consider donating these items to a local thrift store where another crafter might be happy to finish them up, or disassemble the work and use the pieces for other projects. Being confronted by lots of WIP can seem overwhelming, and it may be difficult to know where to start. The easiest approach is to set aside a certain time each week to work on them, and then tackle the easiest and the ones that are closest to completion first. This way, you'll see progress quickly and be motivated to continue. Working toward a goal with the help and support of other people is a lot more fun than doing it on your own. Why not participate in a craft blog WIP event or have some friends over to your home for a handiwork day. Invite your friends to bring their own work-in-progress and a treat to share. It's amazing how much easier it is to motivate yourself when there are others around doing the same thing. There is nothing like a deadline to push us into finishing a project. Use this principal by making the completed item a birthday or holiday gift that must be done in time to wrap and deliver. Another way to motivate yourself is by verbally committing to a friend or family member. Tell them you're working on something special, and show them the progress you're making. By getting someone else excited about your handicraft, you'll feel more excited too. There are dozens of new crafts and fabrics that come out each month, just waiting to be tried. Don't let your half finished projects hold you back from exploring these fun new trends. Finish or toss old WIP projects and you'll open up time and space for exciting new sewing experiences. Deanne Blackhurst is a Freelance Writer for Heirloom Patch, an online sewing, fabric and quilting store that carries Montego Bay Batiks, Wool, Thread and Notions. They also carry quilting kits and patterns. Visit their site at Heirloom Patch today and browse their full line of Moda designer fabrics. Most of us, live our lives with certain expectations. We expect the light to turn on when we turn the switch. We expect our cars to go when we press down on the accelerator. So, when we press down on the foot control of our sewing machines we expect the sewing machine to work. At times, we get to thinking of your sewing machine like a friend or in a sense like a real person. We talk to it. We touch it. We listen to it. Sometimes, it may appear that our friend is stricken with an infection or disease. This is especially true when we press down on the power and very little happens. 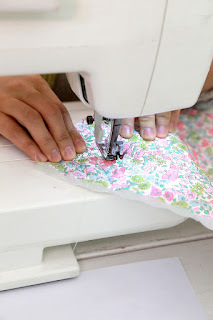 When you press down on your foot control, does your sewing machine hesitate? Does it groan a little? Does it turn ever so slowly or maybe not at all? If so, then your sewing machine may have the dreaded Sewing Machine Motor Fatigue Syndrome..
You can determine if this is your problem fairly quickly with a few basic tests. You set up your sewing machine and are ready to sew, but when you press down on the foot pedal the machine barely moves at all. It is as though the machine is tired from a long hard summer. No matter how hard you press down on that foot control; no matter how much power you put in; the sewing machine just drags along. The two most common sources of such a problem are the potential for a bind in the sewing machine mechanism itself and problems in the motor. To check for binding, turn the hand wheel by hand and feel for any undue resistance. If the machine is stiff, your problem may be the mechanism. If the machine moves freely, it is probably a problem with the motor. The AC motor in your sewing machine or mounted behind the head of your machine, will often accumulate debris inside. This debris may consist of partially burned carbon deposits, dust and dirt, and old lubricants. Gradually, this debris takes its toll on the operation of the motor. You do not need to be an expert on motors, to understand how deposits of debris can make it more and more difficult for the motor to perform as expected. Over time, the motor loses its ability to work properly and may even fail to turn at all. One solution to this problem is to remove the deposits by actually burning them away. By running the motor at full throttle for several minutes, it is often possible to do just that. Follow this procedure: In the center of the hand wheel is a break that causes the machine to turn when the hand wheel turns. Release it so the hand wheel moves freely without turning the machine. Hold down the power pedal using by hand or use a clamp or weight to hold it down. The motor should slowly begin to turn. If not carefully turn the hand wheel while applying electricity to the motor to help the motor turn. Once the motor is turning, Keep it turning at full speed for about five minutes. Allow it to cool and test it again. Attend the machine as long as you have it going. Watch out for extreme heat, sparks, or smoke from the motor. The motor burn is often very effective in burning off the old carbon deposits, debris, and gunk. Essentially, you are heating up the motor to melt away and burn away the debris. In the process, you may find that the motor gets overly hot, excessive smoke begins billowing from the motor, or sparks may fly from it. Be very careful not to let these become problematic. Shut down anytime you sense, the burn is getting out of control. In some cases, the motor burn does not work. The damage to the motor is too extensive. In such cases, you may remove the motor brushes and replace them. You may disassemble the motor housing and clean away the gunk from the contact points and armature. If you do so, beware. Using solvents in electrical appliances can be extremely dangerous. Before applying electricity to any motor make certain it is 100% dry and free of anything that might ignite, smolder, or otherwise cause harm. Usually, you can fix the Sewing Machine Motor Fatigue Syndrome with a ten minute motor burn or service. Experience the excitement and satisfaction of Sewing Machine Repair. Author David Trumble teaches how to repair sewing machines like a pro in his in depth instructional courses. Check out his free users course now. A sheer roman shade is lovely way to add softness to your window along with some privacy without blocking out the light. Sheer roman shades look terrific layered with drapery panels... and you can even layer them under lined-fabric roman shades. But with any sheer fabric treatment... sewing sheers is a challenge all on its own. Below you'll find 7 sewing tips that you can use to sew sheer fabrics plus how to be successful sewing a sheer roman shade. 1. Use a sharp #8 or 9 sewing machine needle. Use a thin and sharp sewing machine needle... and make sure it's a new needle. 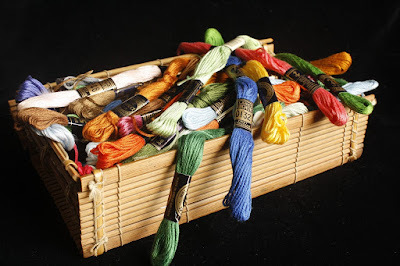 Use lightweight thread... like fine cotton-covered polyester thread, or lingerie thread. . The more compatible your thread is to your fabric the better. If you need to piece multiple widths of fabric to get to the width you require... sew a french seam instead of a standard seam. A french seam will enclose the raw edges of the seam and give a clean appearance. Iron on interfacing for sheers will definitely make your sewing go smoother. There interfaces to use on the entire sheer fabric... or you can get thinner interfacing for just the seam allowances. If you don't feel comfortable ironing interfacing to your entire face fabric, then iron it on to the seam allowances. This will give your side seams some shape plus make it much easier to sew a clean seam. If you're fabric starts to pucker or gather, loosen your thread tension a bit. If possible, lower your pressure foot a little bit too. Test your stitch settings on scrap fabric. Make sure you fold your sheer fabric in 2 or 3 layers to mimic your hems. If your stitching looks good, then you're read to sew! But if the stitching is off... then you can keep testing without ruining your roman shade. 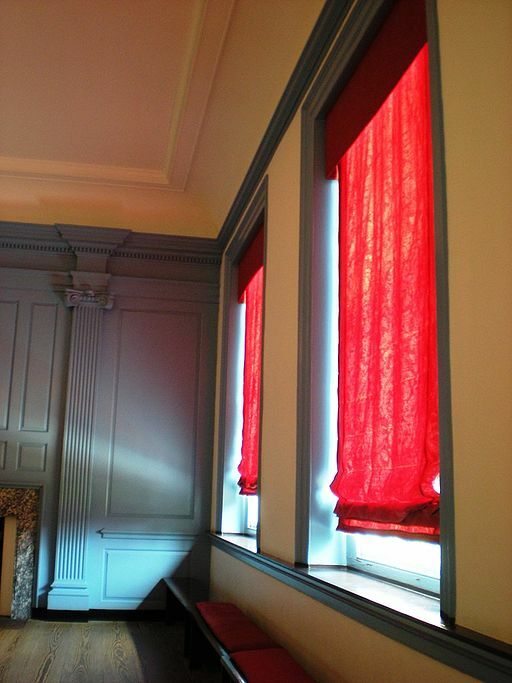 You may be inclined to sew a standard flat roman shade... but with a sheer, you may come up with an undesirable result. Mainly because you'll have visible tacking from sewing the shade rings and you'll see the lift cord and rings through the shade. If you don't want this, I recommend sewing a relaxed roman shade. Simply sew your rings up the side seams only. Your shade will swag in the center, but your sheer will be clean in the center. A relaxed roman shade is an ideal style for sheer fabrics. If you're set on sewing flat roman shades, you can always sew your rings on like normal... but a more contemporary idea is to install small metal grommets where you would have sewn rings on. What you really need is a work surface where you can use your sewing machine. You can make do with a kitchen table or office desk if you must. You will probably become tired or sore more quickly at a workstation of this type because it is really too high. A better choice is a sewing machine cabinet. There are cabinets where your sewing machine actually attaches to the inside of the cabinet or cabinets where your machine sits in a lowered area of the top surface and can be lifted out. Either type of table only requires a small amount of floor space and some of the built-in types allow the machine to drop down when not in use then half of the table top folds over, turning the unit into a small multi-purpose table. Most sewing cabinets also have some sort of storage. Some have cabinet doors that swing open to allow knee room when you are sitting at them and, mounted inside the doors, there are spindles for storing thread spools. Some cabinets have drawers for your sewing tools and accessories. You will undoubtedly need more storage space than your sewing cabinet provides so you might want to consider some other storage as well. Sets of plastic drawers on casters normally sold for craft storage, scrapbooking storage, etc. are a good alternative because you can easily roll them wherever you need them. Other options are stackable plastic boxes. They can even be hidden away in a closet. The storage boxes that fit under your bed can be used too. Better yet, sew a storage device! You can find creative projects for storage in all kinds of places. Just keep your eyes open. 12-14" long magnetic bars for holding tools can be mounted to a wall. They can be found for about $10 a pair at the hardware store. The magnets are strong and easily hold sheers, scissors, seam rippers, and even whole packages of needles. Fabric storage and pattern storage are the two biggest issues. For fabric, if you don't have a dedicated sewing room, some choices are those under-the-bed boxes with lids to keep the dust out. Another option is to fold each piece of fabric over a wire clothes hanger and hang in it a closet. There are cardboard boxes you can buy that are just the right size for patterns but if you don't fold the pattern just right to get it back in the original package, they won't fit anymore. Standard file folder storage boxes from any office supply store work better. Two patterns will fit side by side along the longer (legal size) side and if you have one that won't go back in the package, stick it in a clear ziplock freezer bag to keep all the pieces together and it will still fit in the file folder box. A great way to store current projects you are working on, whether it's a pattern being altered or cut pieces you haven't sewn together yet, is to fold them over a wire clothes hanger and clip a regular clothes-pin or two on to hold everything. Then put the hanger in a closet. When you are ready to work again, simply pull the hanger out and everything is there together and flat and ready to go. If you have several projects on the go at once, make sure the pattern name or number is facing out when you hang it. Then you can easily look through the hangers to find the one you want. You can even attach the original pattern envelope to the hanger with a clothespin for easy identification. For cutting out patterns, most people use their kitchen table, a craft table, the floor, or even their bed. Any large flat surface will do. Again, if the surface is too high or too low for you, you will find you get tired or sore quickly. An ideal surface is a table with a hard, smooth surface that is 30-36" high (if you stand to cut). If you like to sit down to cut, a 26-30" high table is better. The table should ideally be about 4 -6 feet long and a width you can comfortably reach across. If you prefer to cut from a sitting position, make your table narrow enough that you can reach across it from your chair. If you can afford it, the largest size cutting mat available for use with a rotary cutter makes a great table top. I actually use my table more for pattern adjusting and pressing than I do for cutting. A layer of ¼" thick cork is glued (with contact cement) to the arborite top of the table, allowing me to pin straight down into it. The cork seems to be heat resistant too. I plan to glue another layer of cork to the existing one to give the pins a little more to stick into. I tape a layer of plain white paper over the cork and use a marking pen to mark a grid or part of a grid on the paper. I need these lines to keep everything square when altering patterns. When needed, I replace the paper. If I want a large surface for use with the rotary cutter, I use two cutting mats taped together on the bottom side with duct tape. I have to snip a thread or two the blade misses where the joint in the cutting board is but that's not a big deal. These smaller mats fold up for easy storage and I'm back to my cork table again. Next you need to think about a pressing area. As you sew, it is necessary to press seams. An iron and ironing board will do the job but, in a pinch, you can layer several towels on an arborite table or counter and use that. (The iron's heat may damage some surfaces.) You can even buy special heat-resistant material to cover your surface with, making it more suitable for ironing on. The cork table works well to press on too. An ironing board isn't ideal for pressing while sewing. It really isn't wide enough or sturdy enough. When you are adhering interfacing, for example, you need to put quite a lot of pressure on the iron. Your ironing board may crumble under that pressure but a counter-top or a table can take the pressure as long as it can also take the heat and steam. The chair you sit in while sewing is very important. A comfortable one that swivels and rolls is a very good choice. Bear in mind that your feet must reach the floor to work the sewing machine pedal. Good back support will enable you to sew in comfort for longer periods of time. Flooring in your sewing area is a bit controversial. I prefer linoleum so when pins drop they are easy to pick up (use a magnetic pin holder for quick retrieval) and for smooth and easy rolling of the chair but some people prefer carpet because it's softer to stand on. A smooth floor has the disadvantage of allowing the foot pedal to scoot around. This can be solved by putting a small rectangle of rubber shelf liner under the pedal. The same material under a serger will keep it from vibrating around on its table too. One of the most important reasons I have a dedicated sewing room with a door is to keep my cats out. Not only don't I want their hair on every project I make but if they play with spools of thread and get it caught on their rough tongues, they will swallow a bunch of it that will hurt them internally. Cats and thread don't mix! My sewing room also has a TV and a DVD/VCR so I can watch sewing programs or whatever as I sew. If you're not a TV addict like me, perhaps you would enjoy some music or a relaxing mix of nature sounds while you sew. A window is nice if you can manage that. With or without a window, excellent lighting is extremely important (especially as your eyes get older). Set up whatever lamps you need so your eyes are not straining. Try to find natural daylight simulation bulbs so colors will appear accurate. You don't want to put a dark navy zipper in a black pair of pants by accident! For convenience, I also keep a portable phone handy while I'm sewing. It never fails, the phone always rings when my hands are full. Also keep a bottle of water nearby. Bottles don't spill as easily as glasses. Sewing can be such an enjoyable, relaxing experience that you might be surprised how many hours will fly by. I try to set aside 1 or 2 days each weekend to sew. That's my little treat to myself after working all week. My washer and dryer are in the sewing room so I do laundry as I sew and I find it a very efficient use of my time. Sewing makes the tedious chore of laundry more enjoyable. 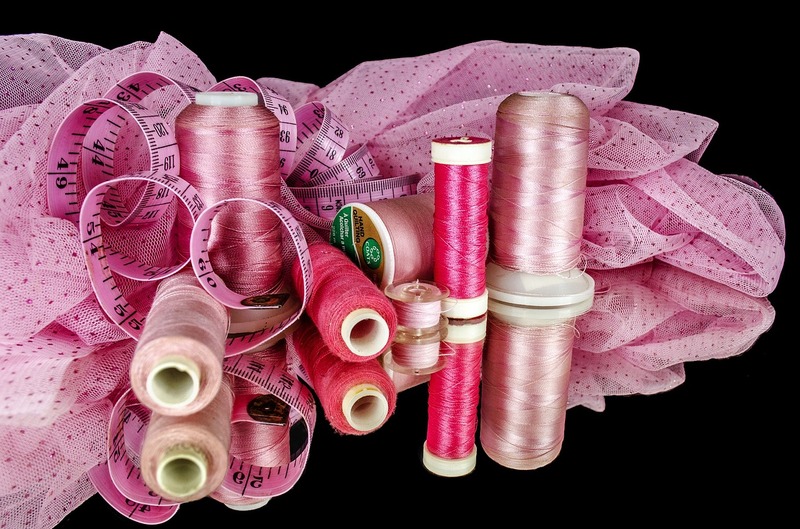 Barb Pattison owns an online sewing supplies and notions store at http://www.ciscosewingsuppliesandnotions.com and has been sewing for over 20 years. She enjoys teaching and is more than happy to help anyone with any sewing challenges.